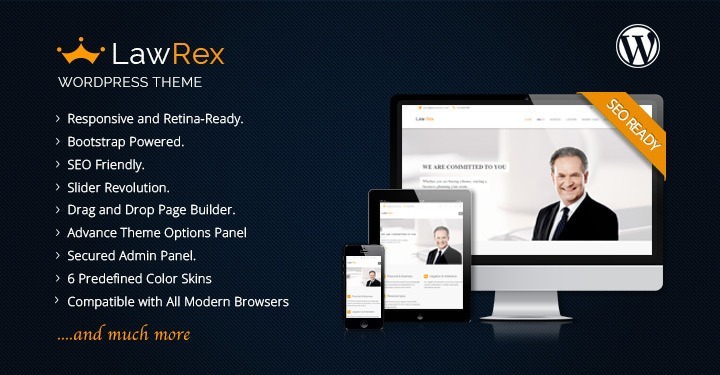 LawRex is Fully Responsive and SEO Ready WordPress Theme. Specially Designed and Developed for Lawyers, Law Firms, Attorneys, Judges and for all Legal and Law Related Businesses. We work for everyone's benefit and try our best to keep the mutual growth of our clients and us.